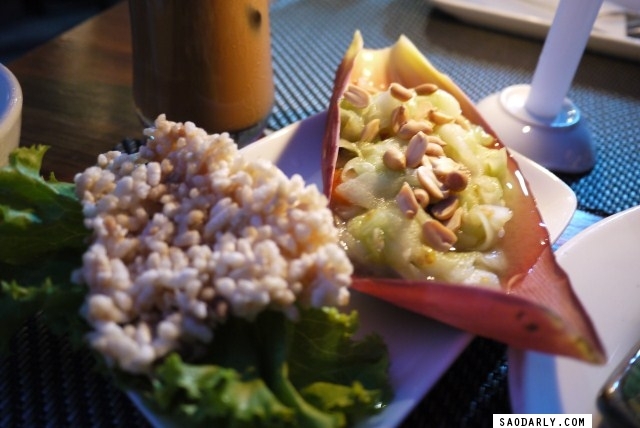 I didn’t stop by Tamarind Restaurant until my third visit to Luang Prabang. I was walking along Nam Kham River on my way to visit a friend and saw the restaurant. The next day I saw many signs on the main road pointing to the new location of the restaurant but I couldn’t place the exact location and actually walked past it twice. I had to ask a couple of people along the way but they told me they had no idea of where Tamarind Restaurant is located which I found to be a bit odd. It might have something to do with the fact that these people have their own restaurant a few meters from Tamarind and wanted me to dine at their place instead. 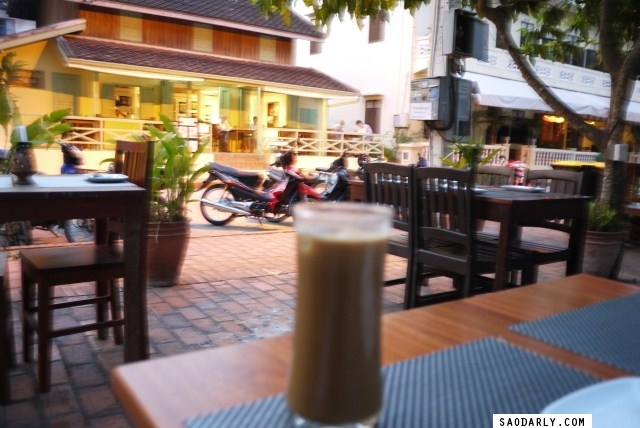 But I just strolled along Nam Khan River and found Tamarind Restaurant nestling next to the Apsara Hotel. Since I was at Tamarind Restaurant early on a Thursday night, I got a table without having a reservation. I was in a mood for Tum Mak Teng or Lao Spicy Cucumber Salad with Sticky Rice and Ping Som Moo. 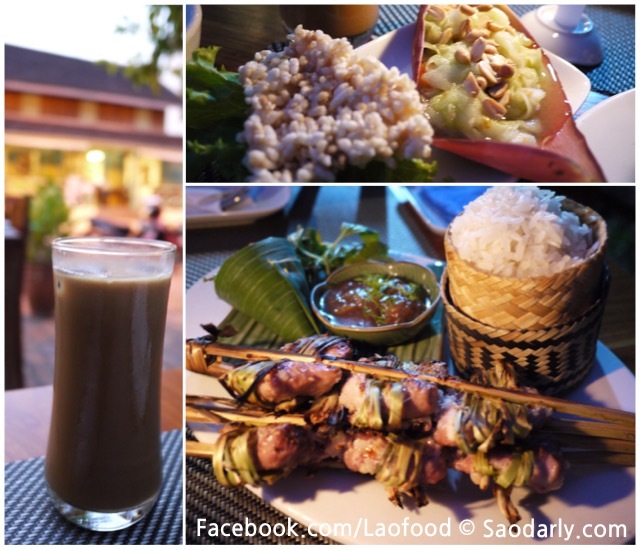 It was a delicious dinner and I was sipping Lao Iced Coffee and watching a beautiful view while waiting for my dinner. It was rather warm during the month of April so I didn’t even finish all my food and took it home to have for breakfast the next day. If you are ever in Luang Prabang, please drop by Tamarind Restaurant to sample delicious Lao Food and take their cooking course. 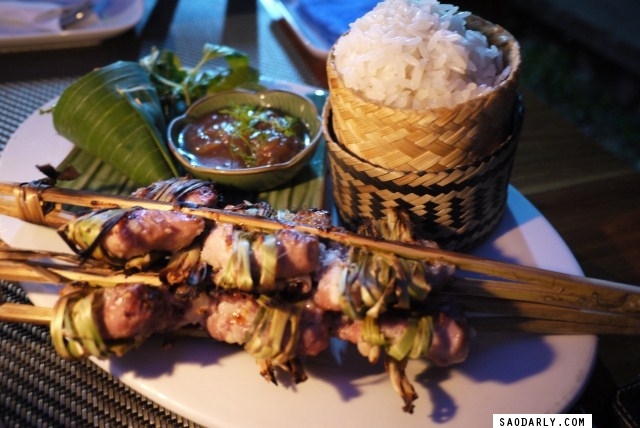 I know I’ll be dining their again the next time I am in Luang Prabang.